This heating season, you may find it necessary to have a new furnace installed in your home or business. The process of selecting a model and finding a quality contractor can be confusing for some, leading to many questions. HVAC.com has the answers to your heating installation questions. Before you purchase a new furnace, check our heating installation guide below for the information you need to know. When is it time for new heating installation? Knowing when to schedule a new heating installation can save homeowners a great deal of time and money. While it is difficult to know exactly when an existing furnace will reach the end of its service life, the following signs are good indications it is safe to begin seeking heating installation help from a contractor. Your furnace is approaching the 15-year mark. 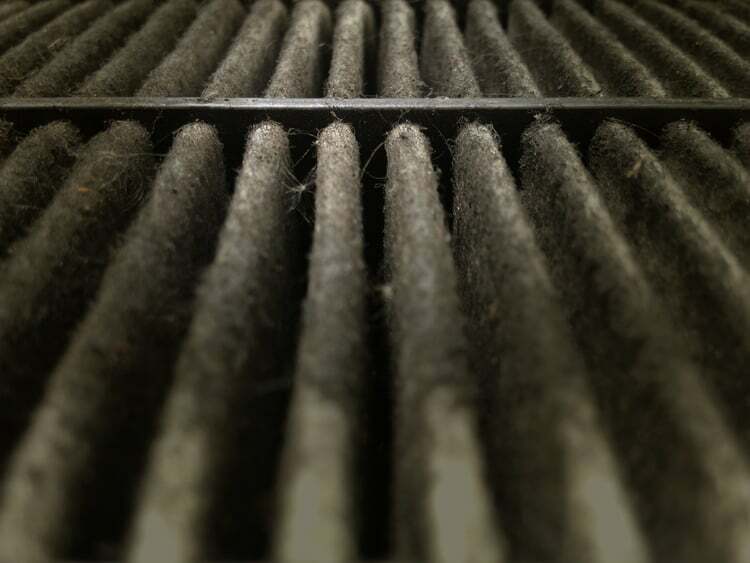 Most furnaces offer a service life of 15 to 20 years. Of course, this will vary based on maintenance and usage. Your furnace has suffered multiple breakdowns recently. Furnaces tend to break down more frequently in the last 2 years of service life, so if you have been calling your HVAC technician for repairs often, it may be a better investment to schedule a new heating installation. Your furnace isn’t sized properly for your home. Operating an incorrectly-sized heating system consumes excessive energy, and leads to comfort control issues within the home. Replacing the unit with a properly-sized furnace will save money on energy costs and improve home comfort. A qualified HVAC technician will calculate your home’s heating load to ensure you get the right furnace for your home’s needs. How much does heating installation cost? Know that heating installation prices will be different from one home to the next. Nationally, the average furnace installation costs approximately $4,000. When it comes to a new furnace, heating installation price varies based on a number of factors. Fuel source, energy efficiency, and capacity of the system will greatly impact the furnace’s cost, as well as certain features included. Needs such as new duct systems or air sealing may be required for a new forced air furnace heating system, increasing the total cost of your heater installation project. A quote for heating installation cost from your HVAC contractor will include the heater installation technician’s time and labor, giving you a complete cost for the unit as well as the installation job. How can I prepare for heating installation? 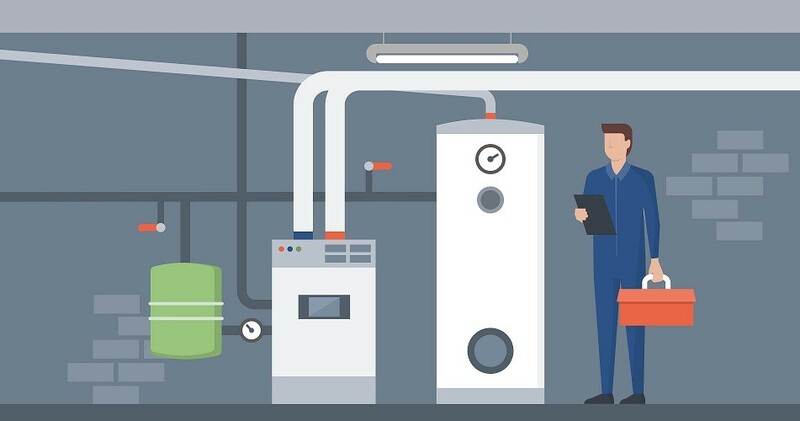 While homeowners should not attempt to perform heating installation on their own, there are a few ways you can prepare for an upcoming furnace purchase. Research equipment. There are numerous furnace manufacturers producing many models. Consider your household’s needs and look for systems that offer what you want in terms of features and efficiency. Consult your HVAC company to ask questions or get professional equipment recommendations. Research contractors. If you’ve never worked with an HVAC contractor before, you should research your options and select a few to contact for quotes. Ask family and friends for recommendations, review the contractor’s information and services online, and check that they hold the proper licensing and insurance. Prep the heating installation area. When your heating installation has been scheduled, make sure the area is ready for your contractor to work. The contractor should be able to access the area, and all items should be cleared out at least 6 feet away from where the new furnace will be located. Where can I find heating installation help? Protect the integrity of your new furnace and safeguard your investment – always turn to a licensed heating and cooling contractor to perform your heating installation. Installing these mechanical systems require advanced technical knowledge and skills the average homeowner does not possess. A licensed heating installation technician will ensure your new furnace is installed safely and accurately to protect your household and help the system perform efficiently for many years. HVAC.com connects homeowners to heating installation technicians throughout the U.S.! Use our Contractor Directory to search for HVAC companies in your area. Enter your ZIP code to find qualified heater installation contractors who provide installation for new furnaces manufactured by leading brands including Aprilaire furnaces, Carrier furnaces, Lennox furnaces, Honeywell furnaces, Trion furnaces, Goodman furnaces, Rheem furnaces, Bryant furnaces, York furnaces, Panasonic furnaces, Mitsubishi furnaces, and Trane furnaces.